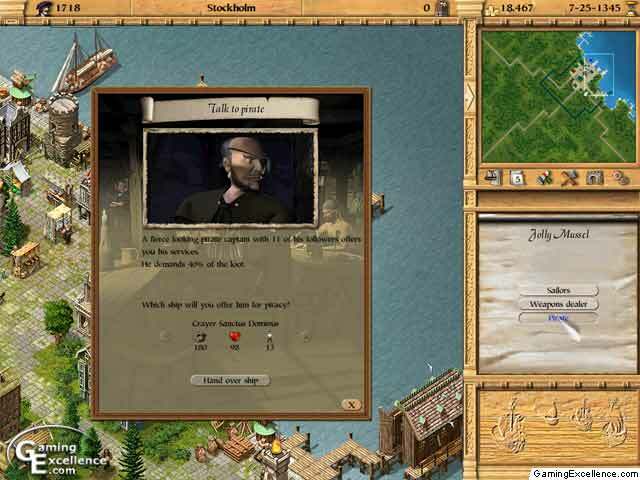 Trade your way to power through diplomacy and honesty, or raise your standing through piracy and smuggling. The choice is up to you. Welcome to the world of the trader, where your goal is to become profitable and eventually, climb the ladder of success to the rank of a Patrician. 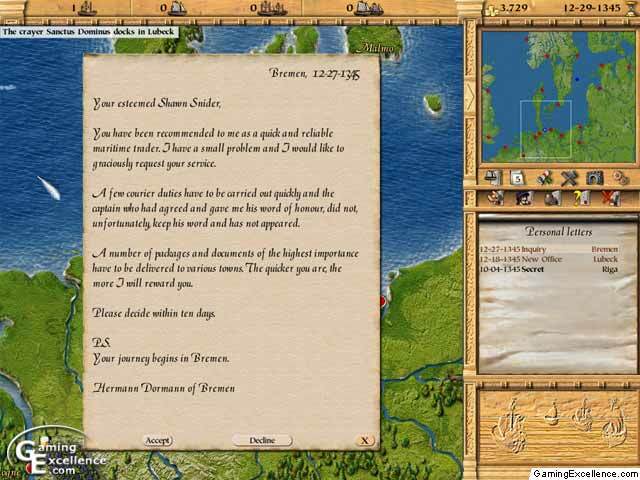 Published by Strategy First and developed by Ascaron, Patrician II places you in the role of an early 1300's trader with a very important task at hand. This task; to setup a variety of trading posts and become a successful trader throughout the nation. Trust me, from personal experience; this is not nearly as easy as it sounds. When this title arrived in my hands, I didn't know what to expect. I never had the opportunity to play the first Patrician, so this was a new experience. I have to say; it was certainly an enjoyable one. The first thing I noticed upon starting the game was the outstanding visual detail. 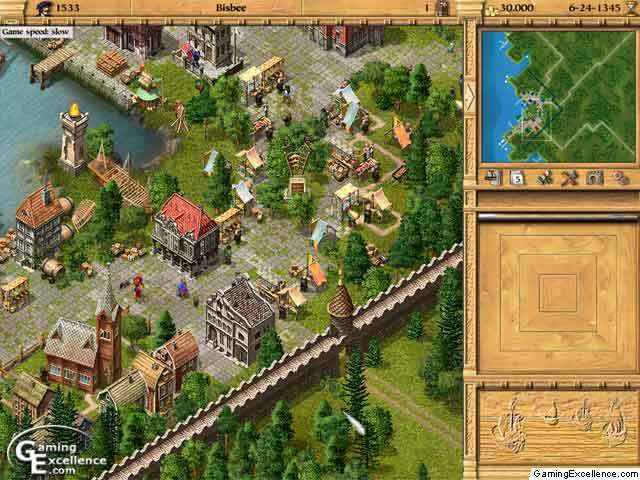 The graphics are crisp and clear, with highly detailed cities and cut scenes. As the wars at sea progress, the visual quality as ships exchange fire is outstanding, and the explosions as ships are destroyed it very realistic. Overall, Ascaron has done a marvelous job on the graphics, something rarely seen in titles of this nature. 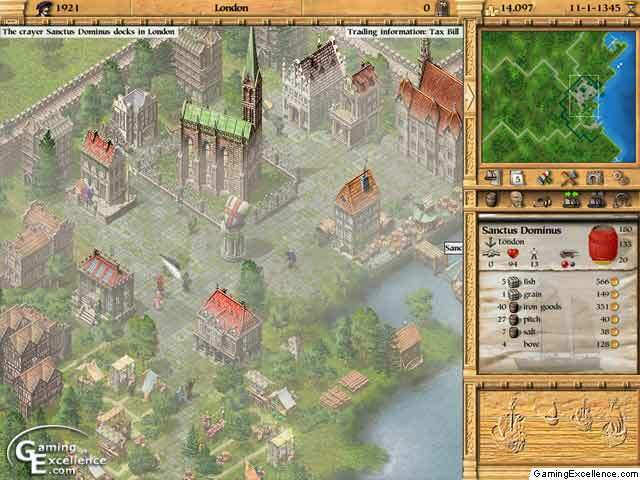 Patrician II contains several modes of play, ranging from smaller single player missions to full fledged campaigns. Multiplayer has also been included for up to eight players over a local area network or a direct connection to the Internet. 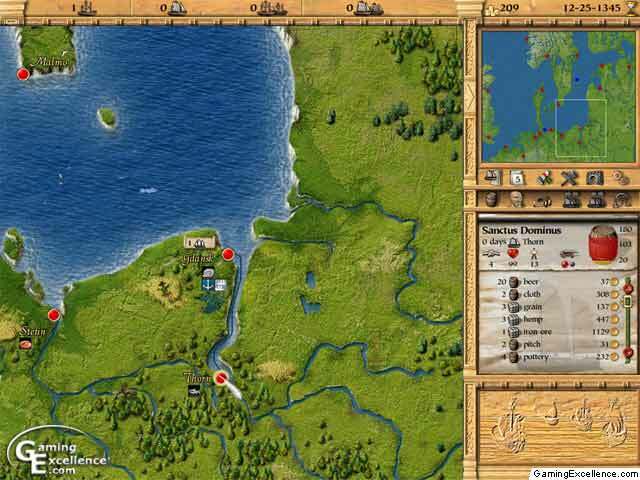 As well as the multiple modes of play, Patrician II features a very streamlined and detailed interface. The interface is a very important aspect in any strategy title, especially where speed and time is of the essence. 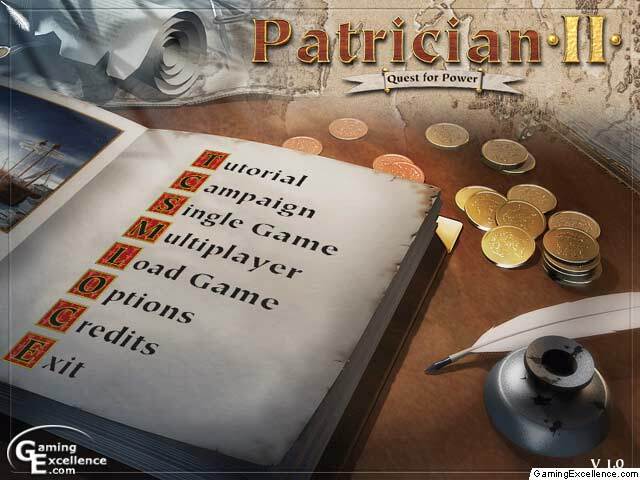 The menus in Patrician II are easily navigated, and easily accessed, another excellent feature within the game. As with the interface, the sound is a nice match with the general theme of the game. A variety of soothing music effects and a good overall theme are included, but unfortunately, very few sound effects are present. Besides the occasional voiceover, the only other sounds are mainly those of battle as ships engage in combat, and the sound of a bell ringing whenever a new message is received. The music is of good selection and composition, but more in-game sound effects would be a beneficial addition. The primary goal in Patrician II is to become a successful trader, and eventually rise to the rank of a Patrician. You begin the game as a lowly trader, with a dream of success. Nobody respects you, and you must earn that respect over time. A good economical aspect, with regards to currency and commodities are quite realistic, and a fundamental understanding of good trading techniques is very beneficial while playing. You must hire sailors and captains to sail your ships from harbor to harbor transporting goods, and balance the incoming funds with the expenses of your crew and equipment. Often, it is a wise decision to build a trading outpost in another city, but this is very costly, in both terms of resources and financial funds. The more you contribute to a city, the more the citizens will learn to respect you. Whether it is assisting the church, or building small dwellings or hospitals, everything counts, and this can mean all the difference between success and failure. Upon first launch of Patrician II, it is wise to take a trip through the tutorial missions. The gameplay is simple if you understand the basic concepts, but it will take time to develop these concepts. 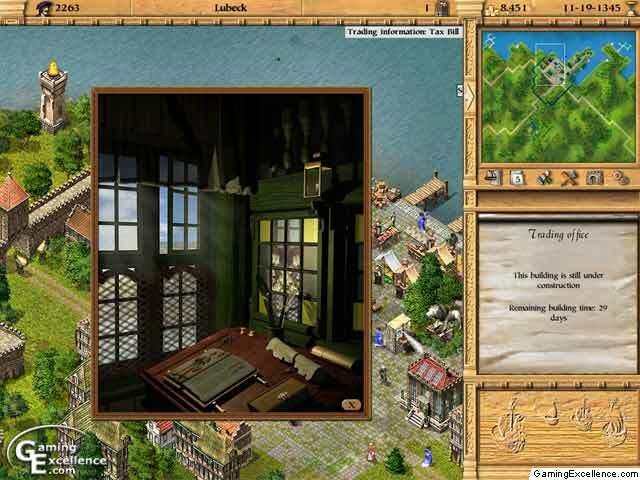 The tutorial missions have been included for just these reasons, and prove effective in assisting the player in understanding the basic fundamentals of the game. Although they are somewhat boring as they progress slowly, they are worth taking the time to complete, as they assist in teaching some strategies that you would not learn otherwise. 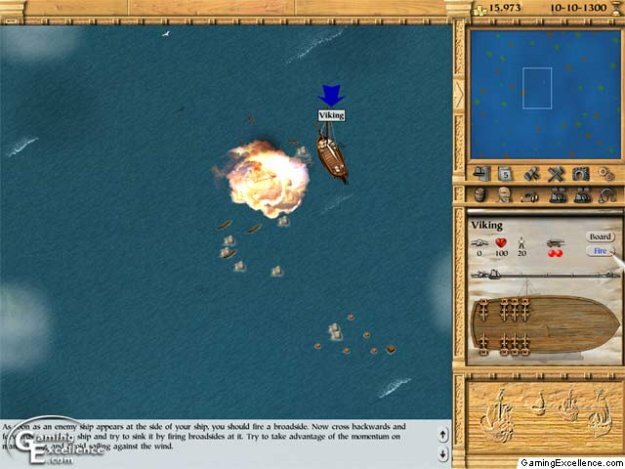 Five tutorials have been included, ranging from navigating the interface, to sea combat techniques, and not to mention construction and trading procedures. The tutorials are adequate, but it is easy to lose interest quickly as they progress very slowly. Commodity is the largest aspect within Patrician II. Your job as a trader it to purchase materials such as grain, fish, tiles, or one of the many other commodities, and sell these at a higher price in another location. The prices in each city are dynamic, and depend on several factors. If the supply of a specific resource is low in a city, the demand is higher, and the price increases. If the city produces a resource, the purchase price is usually much lower in that area. Later on in the game, you can produce and manufacture your own raw materials, and make much larger profits than if you were purchasing them elsewhere, but the startup costs for these factories are very high. The dynamic infrastructure of the cities is a very unique aspect and will often work to your advantage, but it is not all easy. Be prepared to undergo some hardships through your career as a trader. Pirates are arguably one of the most entertaining factors within Patrician II. 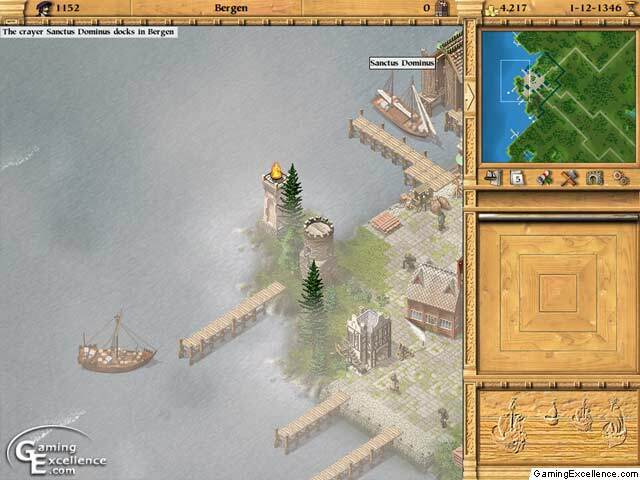 Sail the open seas with your cargo, but be prepared to defend yourself against pirates should the need arise. Often, it is a good idea to travel in fleets, as they stand less chance of attack, but this is not always possible. 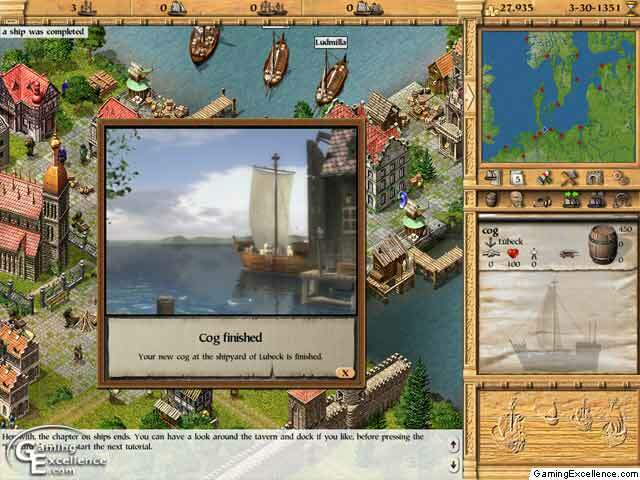 Weapons can be purchased from a shady weapons dealer within the tavern in each city, at the expense of cargo space on each ship. Pirates will attack when you least expect it, so be ready for an attack at any time. Overall, Patrician II is an enjoyable real-time strategy title with several small flaws that affect the game as a whole. For any fan of the strategy genre, this game should definitely be on your list to purchase. 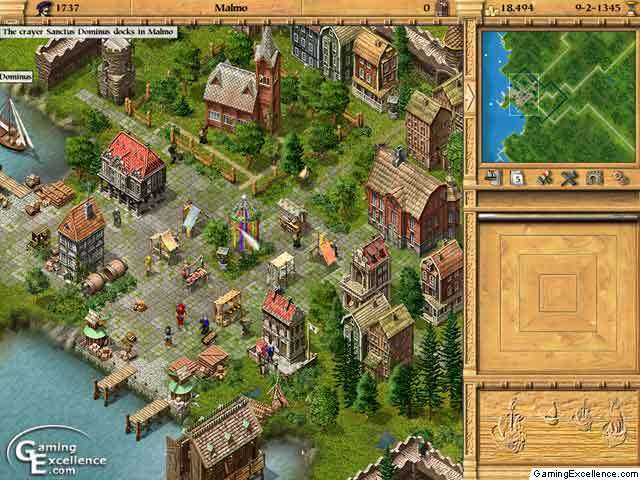 With a solid gameplay engine, good graphics, and a dynamic system of play, Patrician II is an entertaining title, and will provide many solid hours of play.